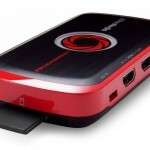 You Are Here: Home » Capture Cards » AVerMedia Live Gamer Portable (C875): best HD capture card of 2013? Just under a week ago I posted a “first look” at AVerMedia’s latest offering in the HD capture card market: the Live Gamer Portable. In short summary, I said that the C875 would be a direct competitor for the Elgato Game Capture HD but, on closer inspection, it seems to blow everything else out of the water. 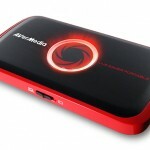 AVerMedia Live Gamer Portable: best HD capture card of 2013? Better still, AVerMedia have been kind enough to send me one for review. So, let’s look at the specs shall we? Now in terms of physical proportions the Live Gamer Portable is on a par with the Elgato Game Capture HD but the similarities don’t end there, because AVerMedia’s latest offering also supports HDMI in and out, alongside component in for us suckers restricted by Sony’s HDCP protection in or on the PS3. Now I understand there is a workaround that allows you to use HDMI in and out on a PS3 but until I have had a chance to play around with the Live Gamer HD I don’t want to say for sure. As per the Elgato, and the clue is in the name I guess, the device also supports Live Streaming but the specs don’t end there. The AVerMedia Live Gamer Portable has a couple more tricks up its sleeve which lead me to believe this will be one of the best, if not the best selling capture card of 2013. Unlike the Elgato and other competition, such as the Roxio Game Cap and HD PVR 2 Gaming Edition, the AVerMedia is compatible with consoles AND PCs. That’s right, this bad boy works with the PS3, XBOX, Wii, Wii U and all PCs and because it has a built in processor PC gamers won’t see any impact on system resources when they use this device. Are we done yet? Not quite. 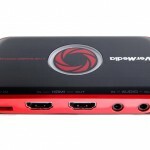 If you’re subscribed to my channel then you will probably know I chose my current that I chose my current capture card, the AVerMedia Game Capture HD because it allows you to capture console gameplay without the need to connect to a PC. Now let that sink in for a second. Yep, you guessed it. 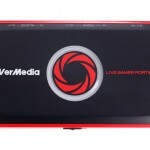 AVerMedia have integrated PC-less recording on the Live Gamer Portable. Like I said, this thing is a beast. 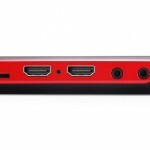 So, to recap, we have support for HDMI in and out, along with the ability to record and live stream on all consoles and all PCs. You can also record PS3, XBOX, Wii and Wii U gameplay without the need to hook up the device to a PC: something which will no doubt appeal to casual gamers who have their console in one room and their PC in another. As it stands I don’t know whether I have to send this back or whether I can offer it as a giveaway, so you will have to subscribe to find out. For a full list of technical specifications on AVerMedia’s latest offering, visit the official Live Gamer Portable website. 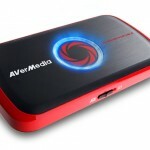 Home » Capture Cards » AVerMedia Live Gamer Portable (C875): best HD capture card of 2013?